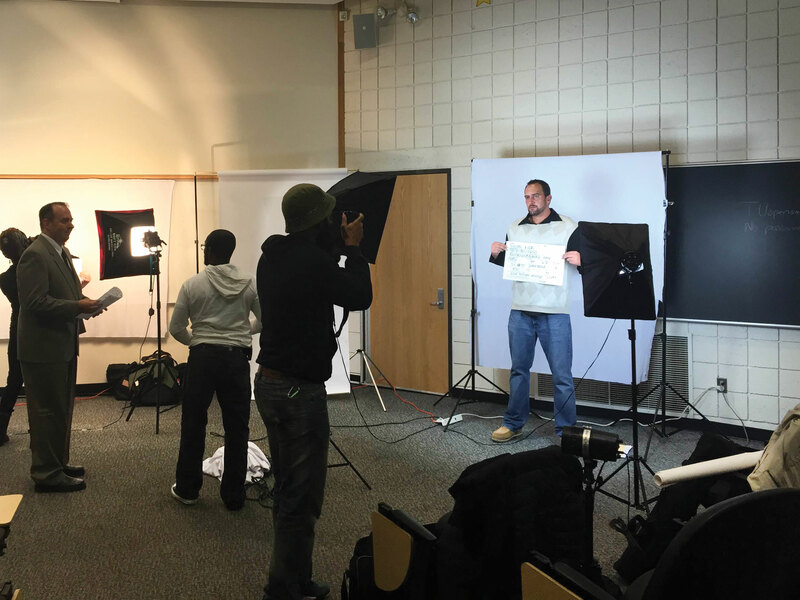 Marinella Hume Casting, a service that works to provide extras for different productions, held an open casting call for a “popular political drama” on campus Saturday. A casting director for the company, who asked that their name not be used, said that they had already seen over a hundred people within the first hour of the open casting call. “We wanted to give university students and alumni a chance for a ‘cross it off the bucket list’ opportunity,” the casting director said. Gay Pinder, a spokeswoman for Towson University, said that the casting company reached out to Towson to hold the casting call on campus. “One of the reasons we started doing this is that it brings in a stream of revenue for the university,” Pinder said. Pinder said that she would “rather not” comment on how much Towson University was compensated for hosting the casting call. The call on Saturday was held from 9 a.m-1 p.m. According to the casting director, the company would like to hold another open call, probably within three weeks. Extras that are hired by the company are paid $10 an hour. By 9:10 a.m. Saturday, the line of people hoping to be cast was wrapped around one hallway of the Lecture Hall building. In the actual “lecture hall” room, there was a small crowd of hopefuls having their photos taken and registering if and when they were available to work. Oshi Nwokoro, a junior mass communications major, said that she heard about the open casting call through her suitemates. Nwokoro said that she had never been cast for anything, except for a school play in sixth grade. “Maybe I am an actress, who knows,” she said. She said that the process of coming in, waiting in line, filling out papers, getting photographed and then registering availability times went faster than she expected. By The Towerlight’s measure, applicants spent no more than 25 minutes each moving through the process. The casting company got Towson students, working as interns, to help run the open call. Doug Steinman is a junior electronic media and film student who said, one day, he’d like to work as a director. He said that he was one of the first students to respond to an email looking for help from students. “I really want to get as much work experience as possible,” Steinman said. Steinman said that, among other things like ordering coffee and pizza, he took notes for the casting director and manned a table where applicants filled out papers. “It’s cool, it’s definitely somewhere to start,” Steinman said. The group of people looking to be cast included more than just students. One of the volunteers helping the casting company was Vickie Warehime, a Towson graduate and for officer for Baltimore County Police Department. Warehime said that she is cast in the political drama. She graduated from Towson with a business degree, and may or may not have convinced a reporter from The Towerlight to apply to be an extra on the show.